Take advantage of our offer for a free screening to assess your vascular needs. Call us at (417) 882-2349 to set up your FREE screening. Our surgeons will walk you through possible treatment options, discuss your payment options and schedule your treatment date. One advantage to the vascular treatments at Crighton Olive Dunn Surgical Group is that you will experience little interference with your daily schedule. The night before your surgery, you may eat and drink as you normally would. The morning of your surgery you are advised to avoid caffeinated beverages such as coffee and soda to improve your surgery results. You will be greeted with a smile from one of our professional staff members. 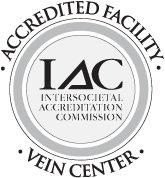 The staff will assure you are comfortable and initialize the procedure by using an ultrasound to locate your varicose veins. You will then be greeted your physician who will begin to numb the area affected by the surgery. For some patients, this is considered to be the most uncomfortable part of the surgery because of the numbing injections. Once the area has been sufficiently numbed, the physician will begin the procedure. It is common to sense a taste of burned vegetables in your mouth, so our physicians recommend chewing gum during the procedure. Once the veins have been removed, the incision is bandaged. The procedure is expected to be complete within 30–40 minutes. Our exceptional staff will give you helpful instructions on how to manage the treated area. They will teach you about proper bathing and sleeping methods to improve your results and speed your recovery. Oftentimes post-surgery care requires compression hose, and the fitting and care methods will be addressed at this time.